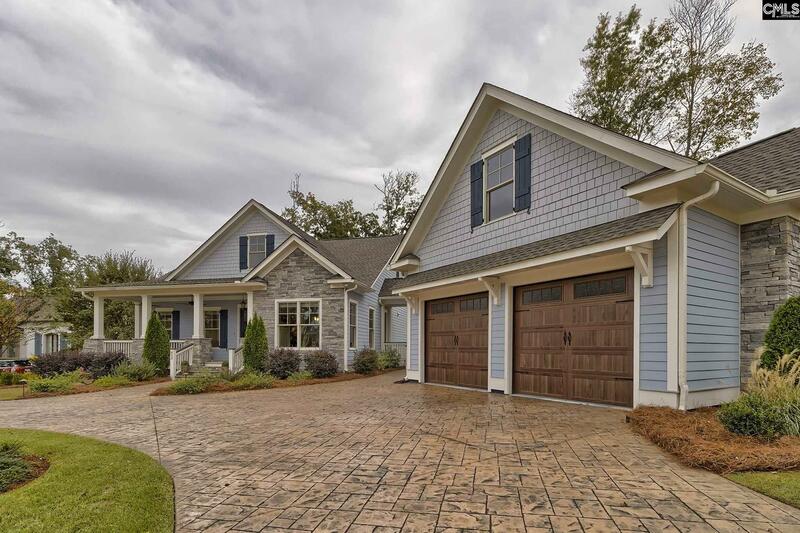 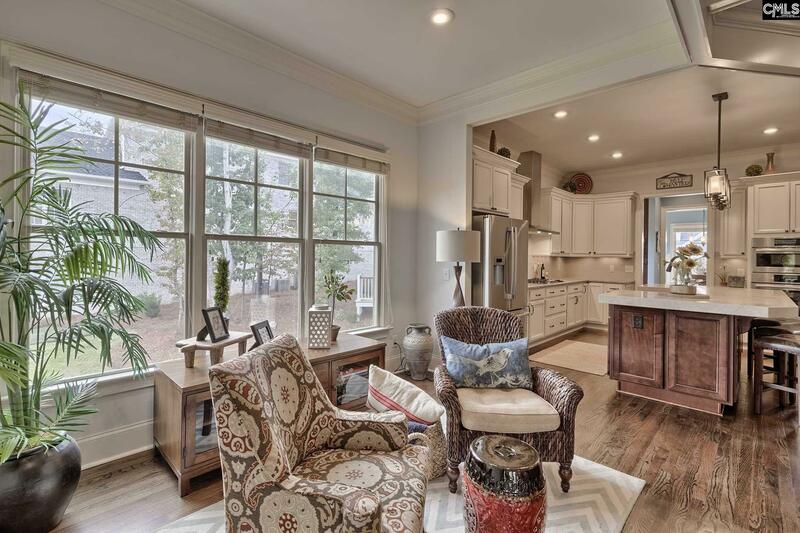 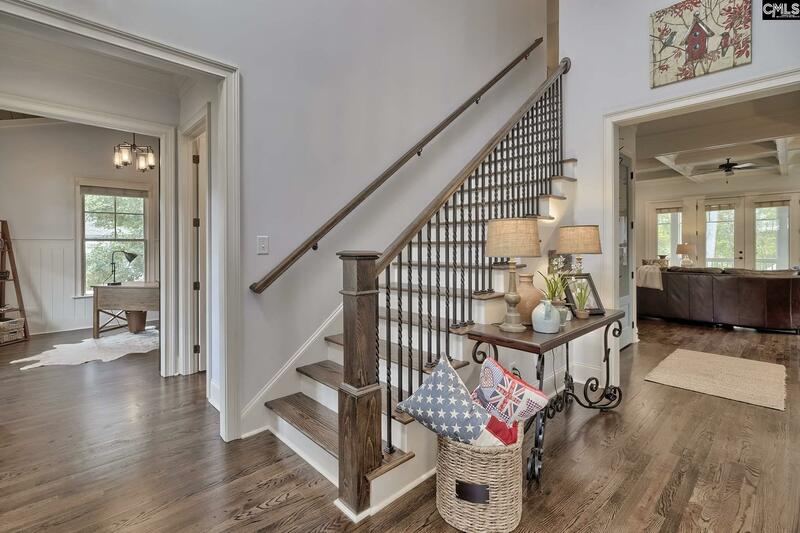 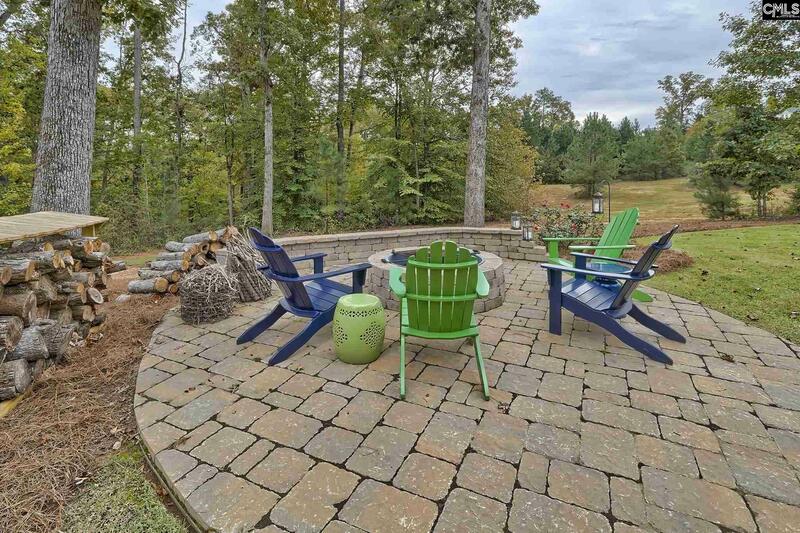 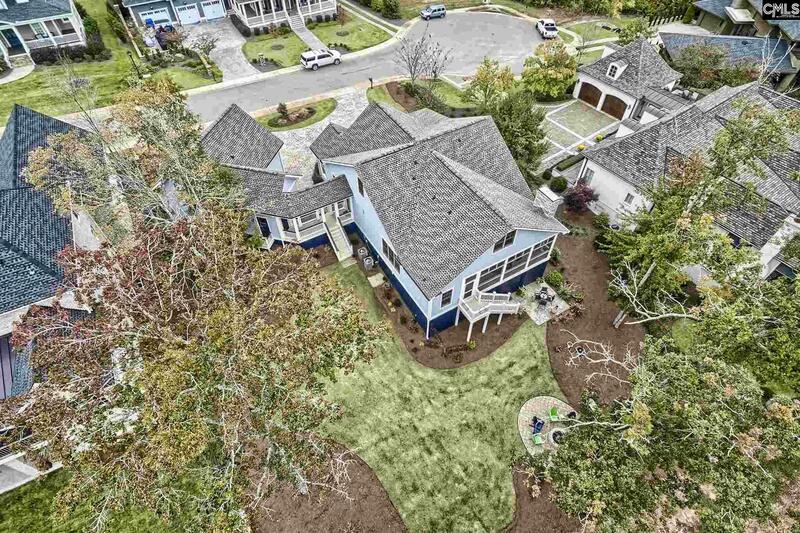 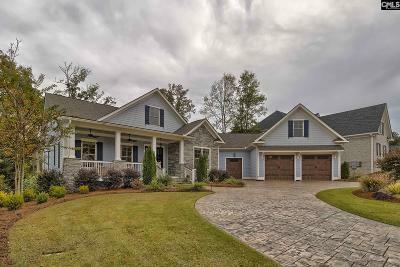 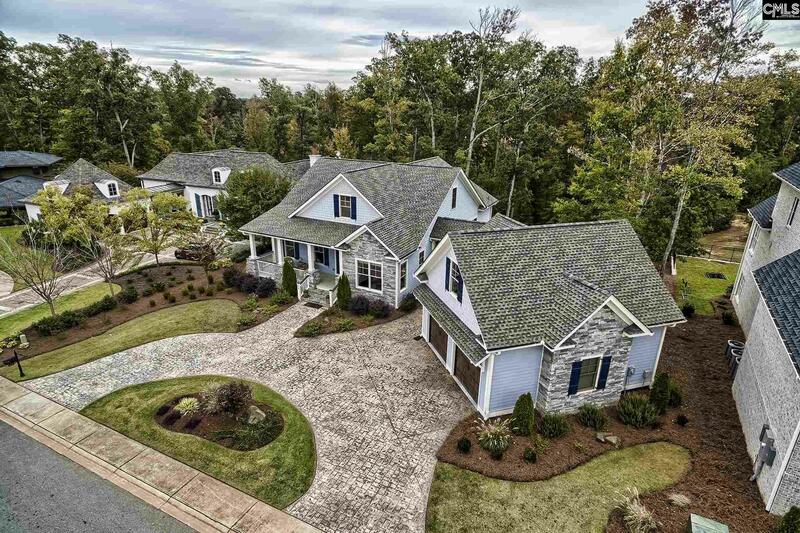 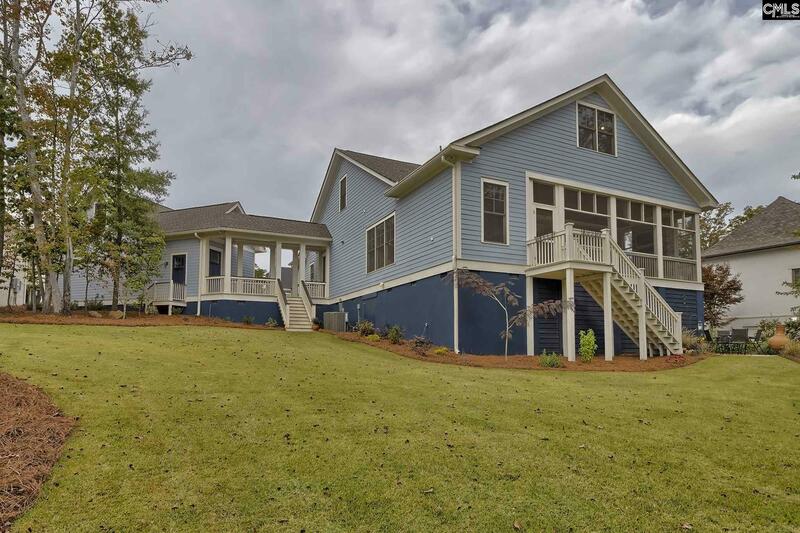 One of the finest homes in Saluda River Club situated at the back of the River District. 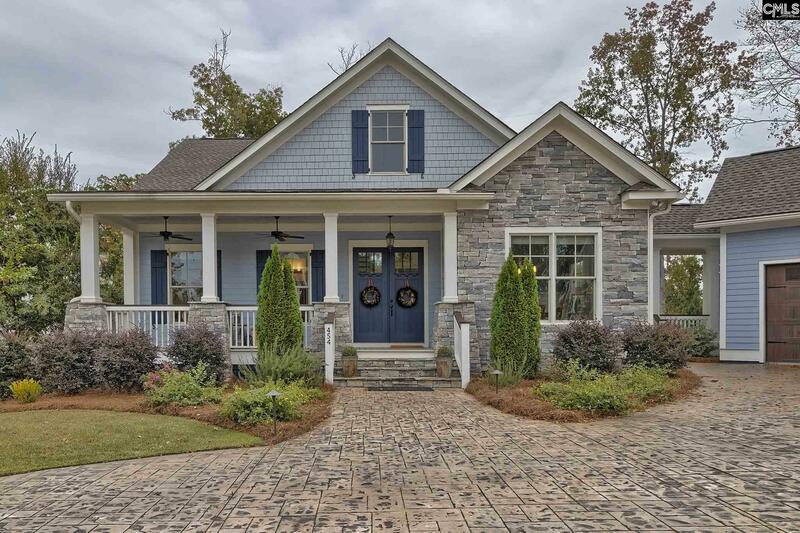 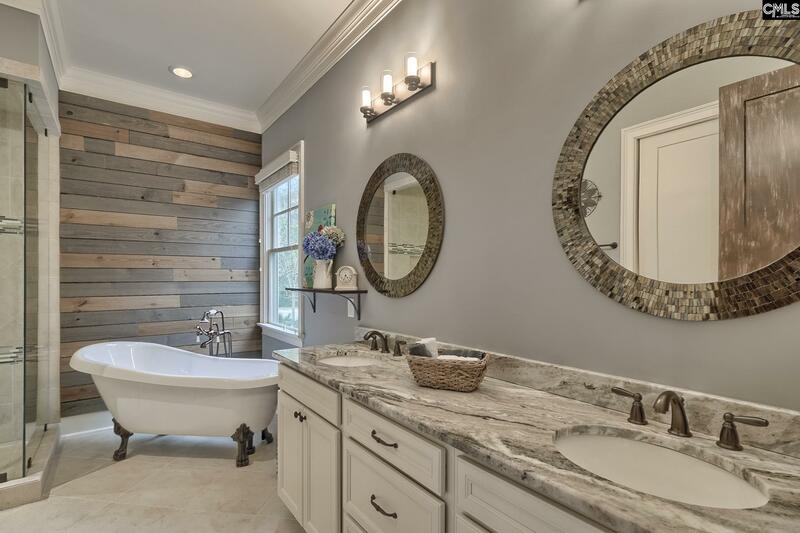 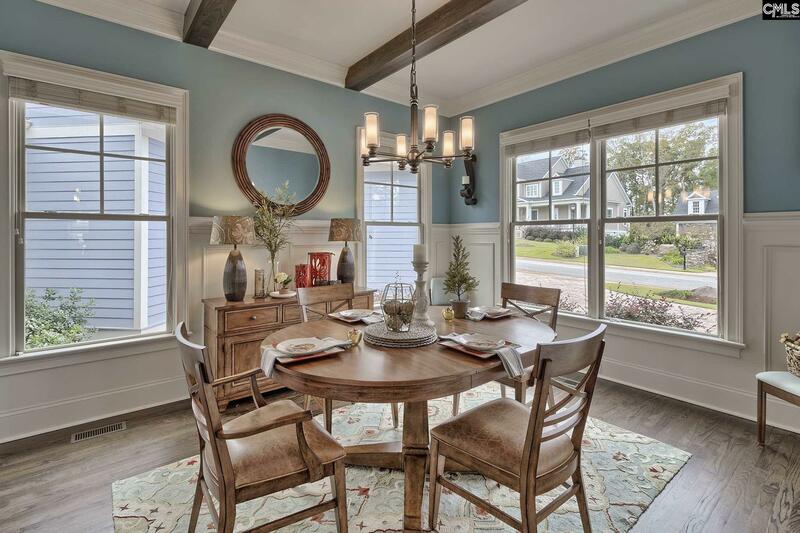 Every detail and finish is in place on this eye catching "Carolina Cottage." A two-story entry leads to a private office on the left with French doors for privacy and beautiful molding and ceiling detail. 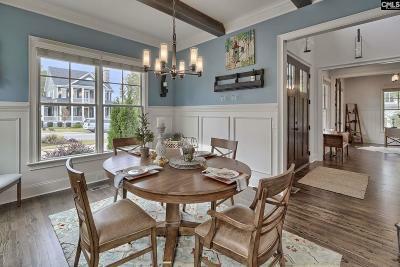 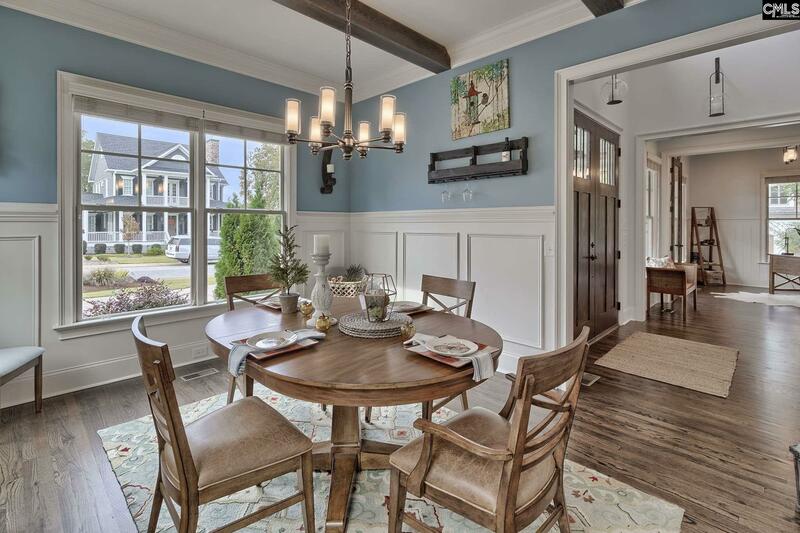 On the right, a formal dining room wrapped in windows and accentuated with beams leads to a prep area and the kitchen. 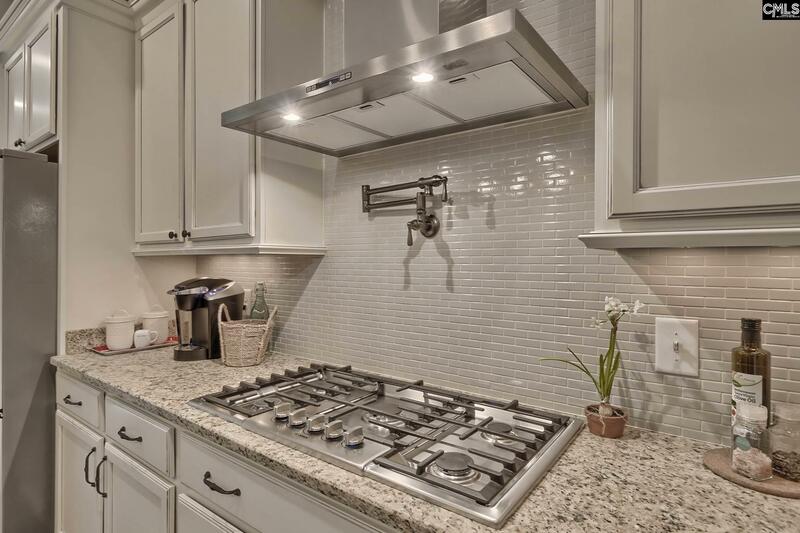 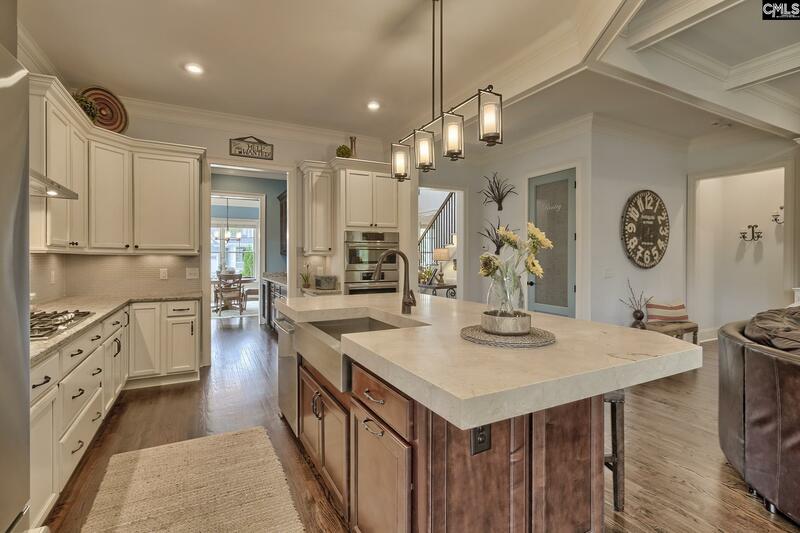 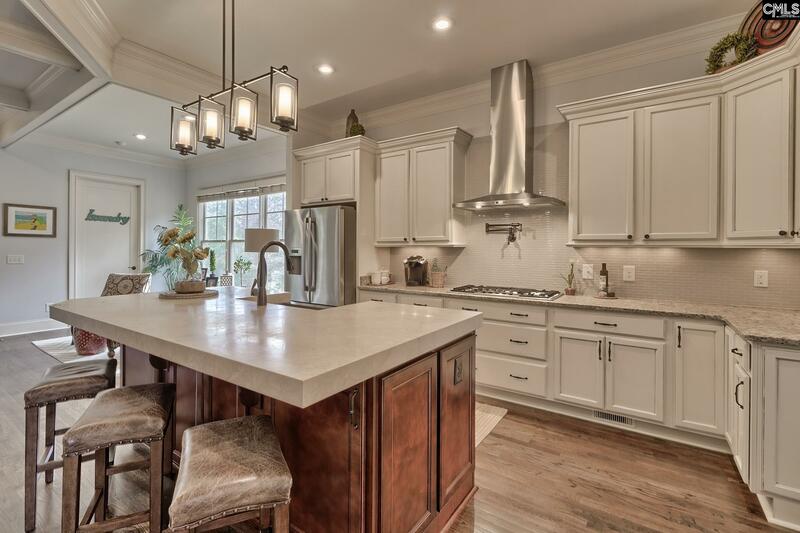 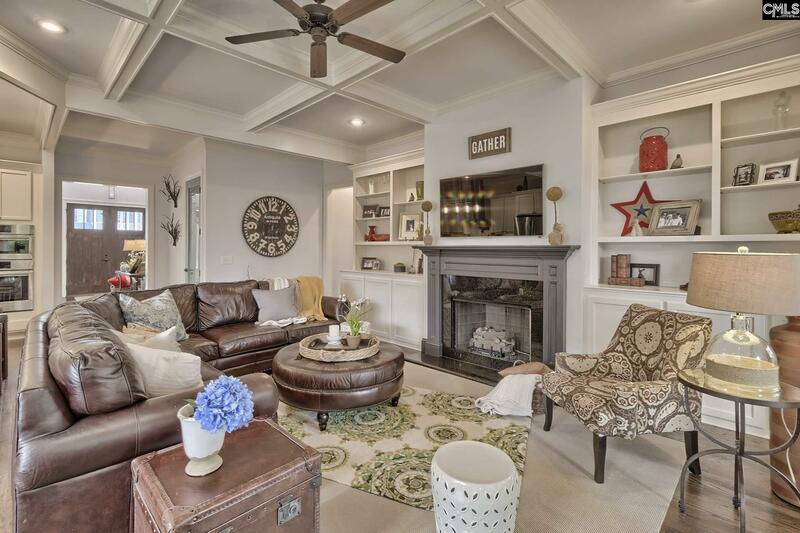 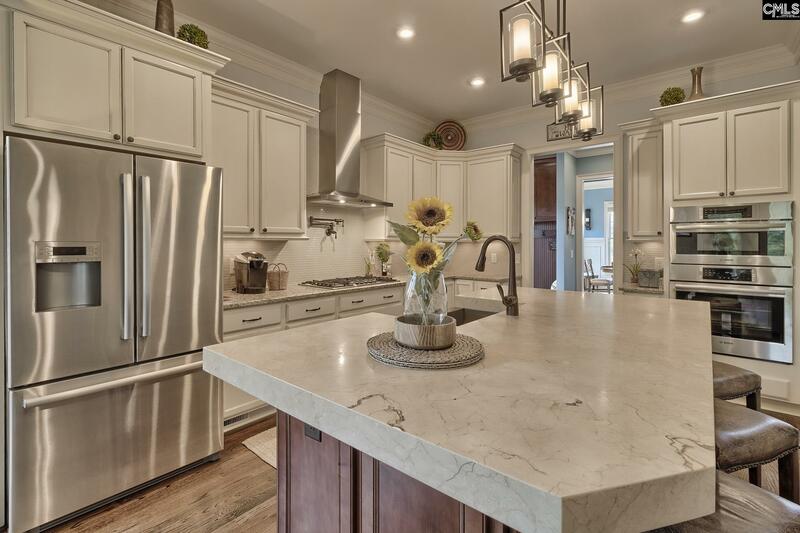 The kitchen is elegant, functional, and open to a sitting area and spacious family room making this space perfect for the family and entertaining. 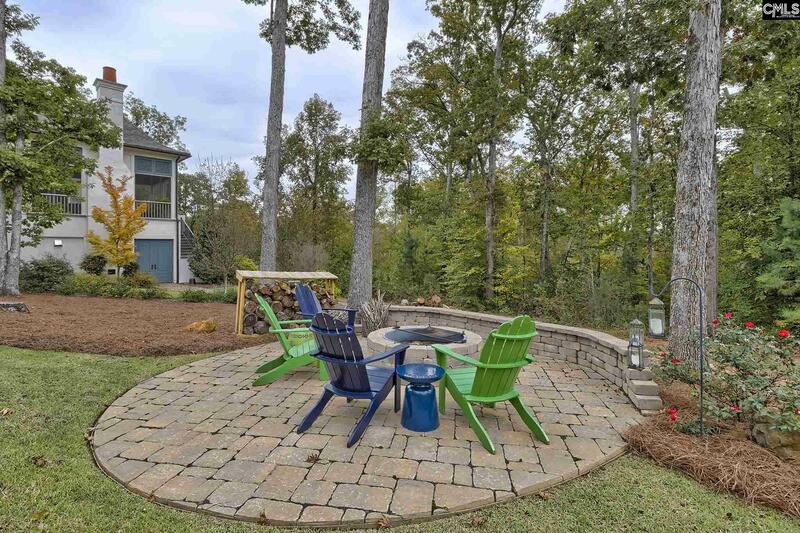 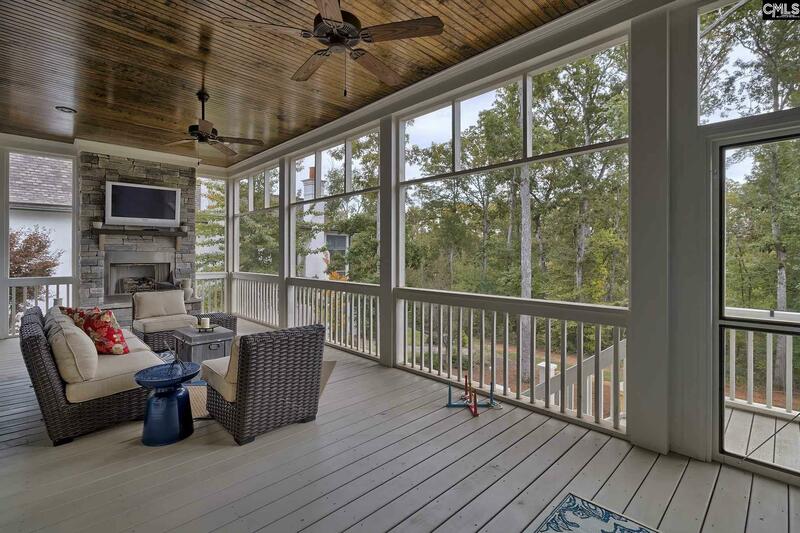 A deep screened-in porch with fireplace overlooking a large backyard, fire-pit area, and a forest view that will remain unchanged. 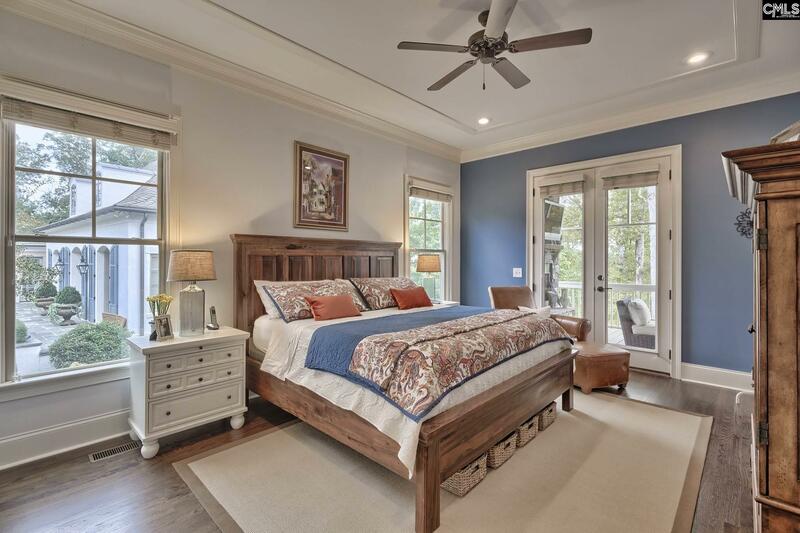 The master bedroom is also on the main and offers an exceptional en suite. 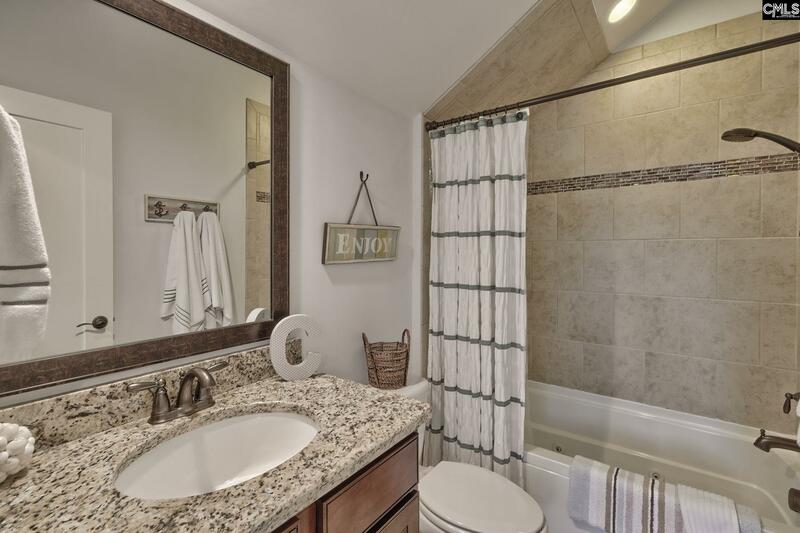 The upstairs features three bedrooms total, one with a private bath and walk-in, and two that share a full bath. 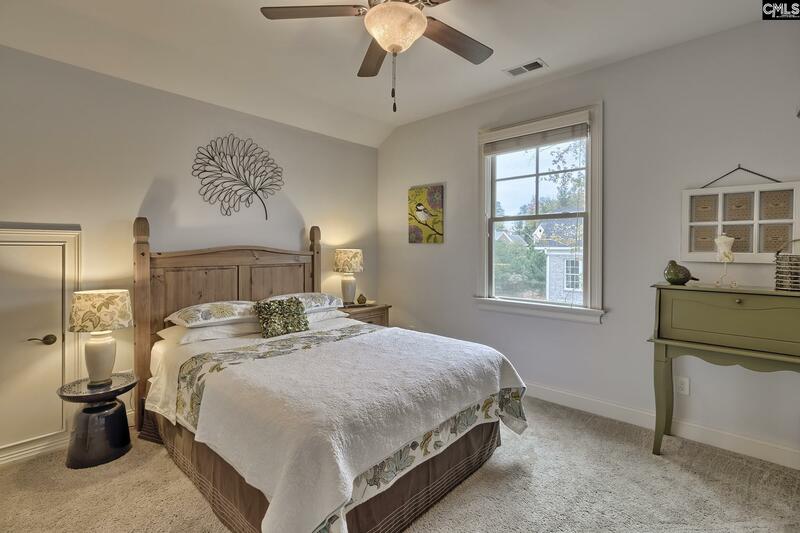 There is an abundance of easy to access storage areas off the bedrooms. 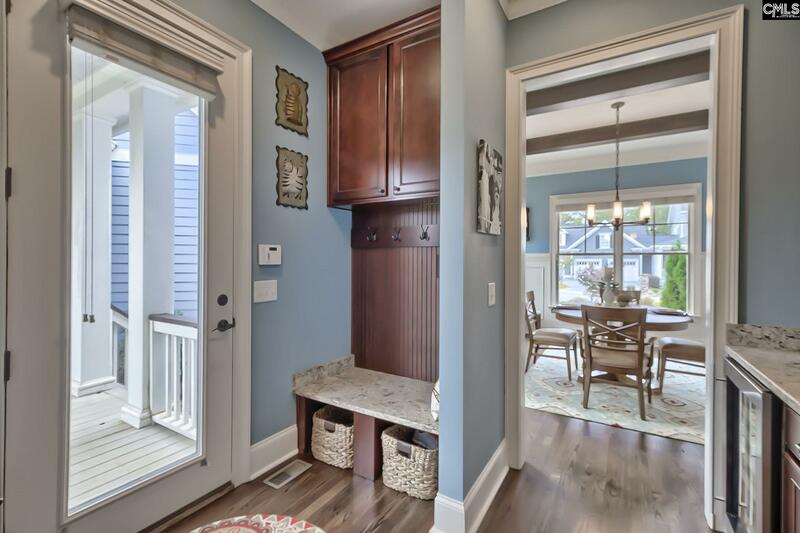 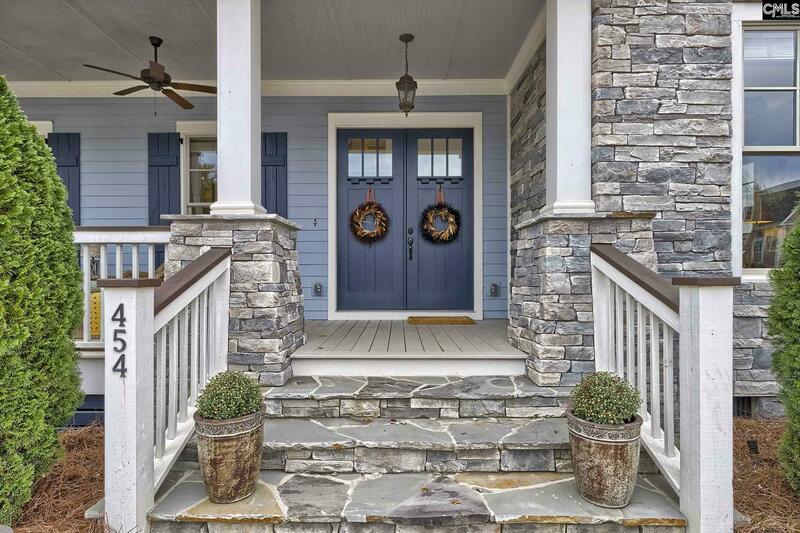 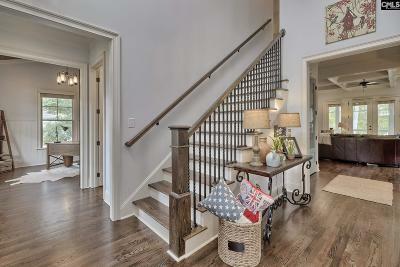 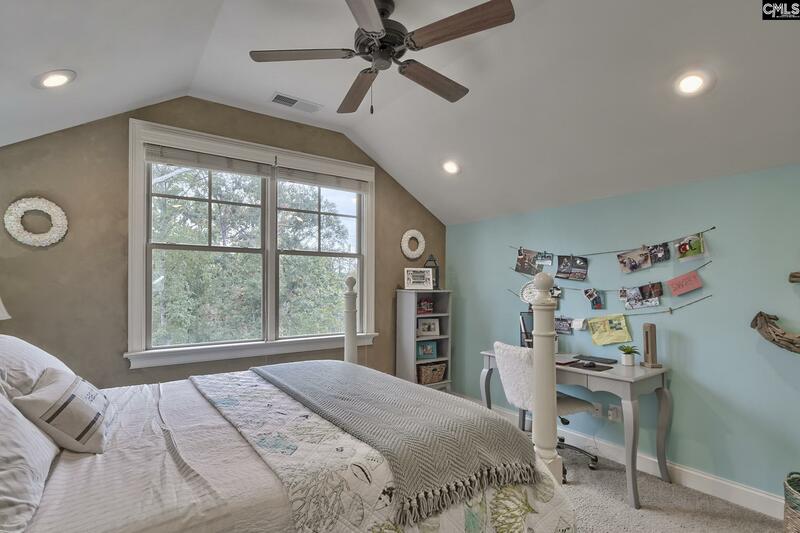 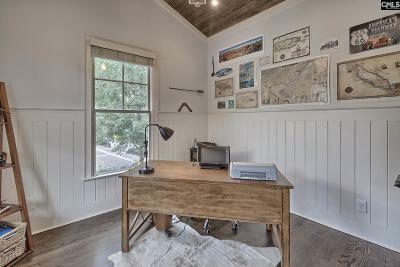 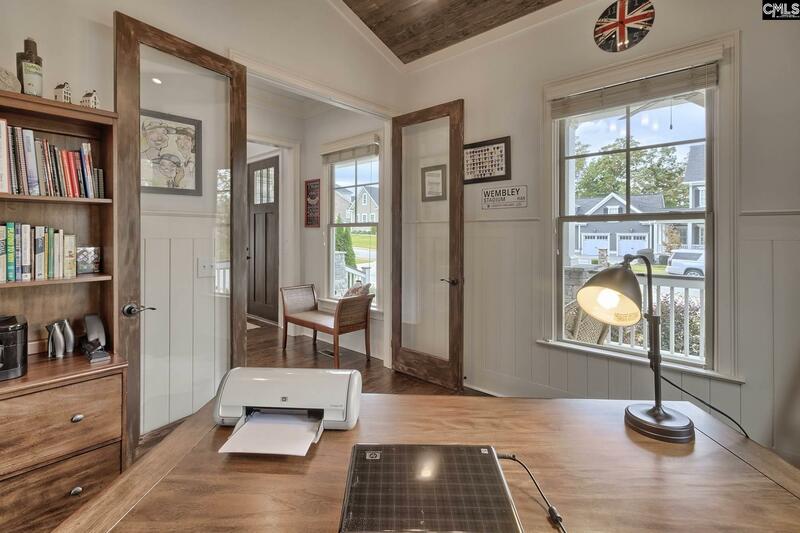 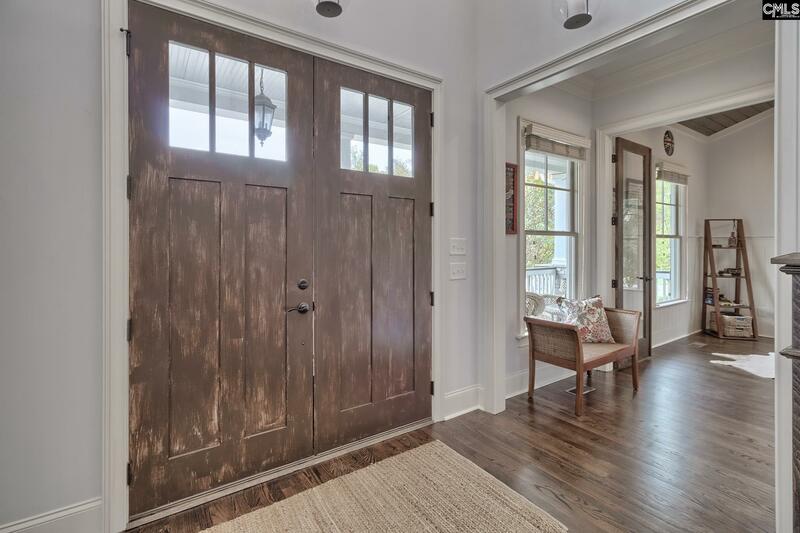 Back on the main level, a mud room off the kitchen leads to a charming breezeway that connects a 2.5 car garage to the home. 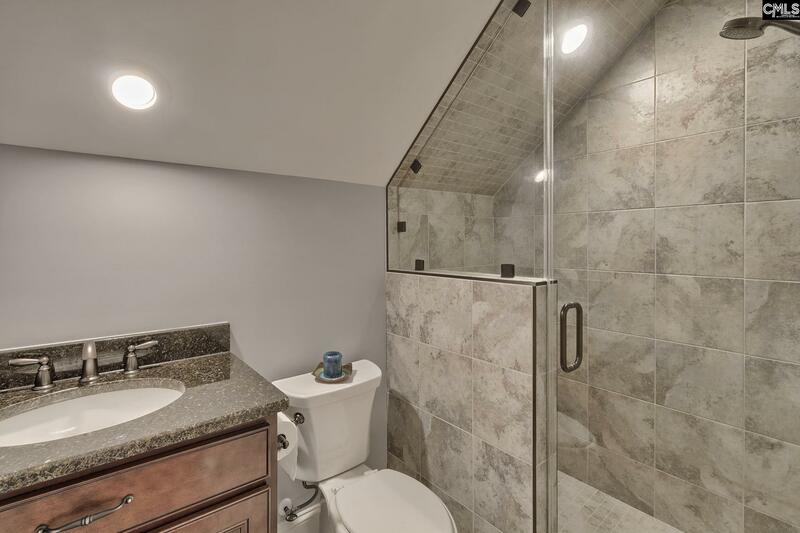 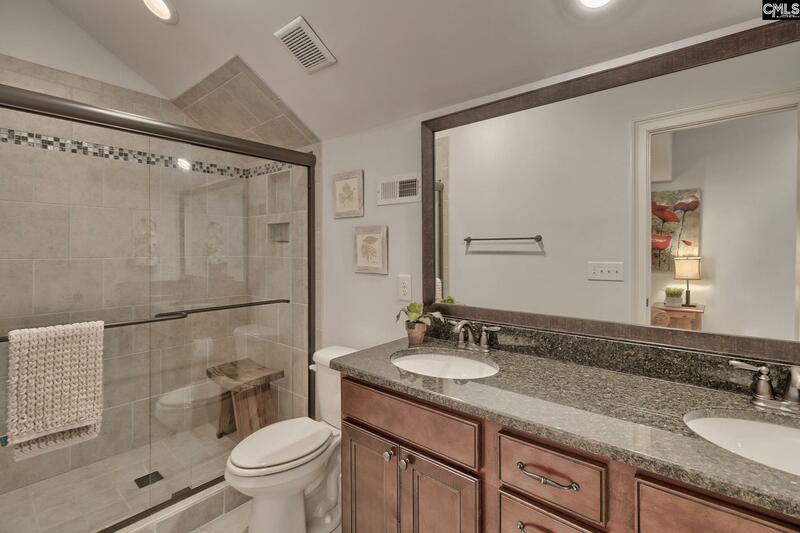 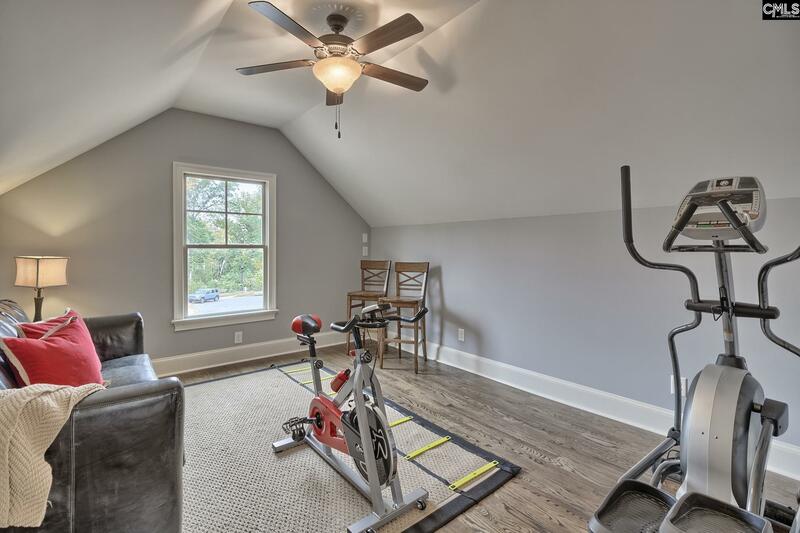 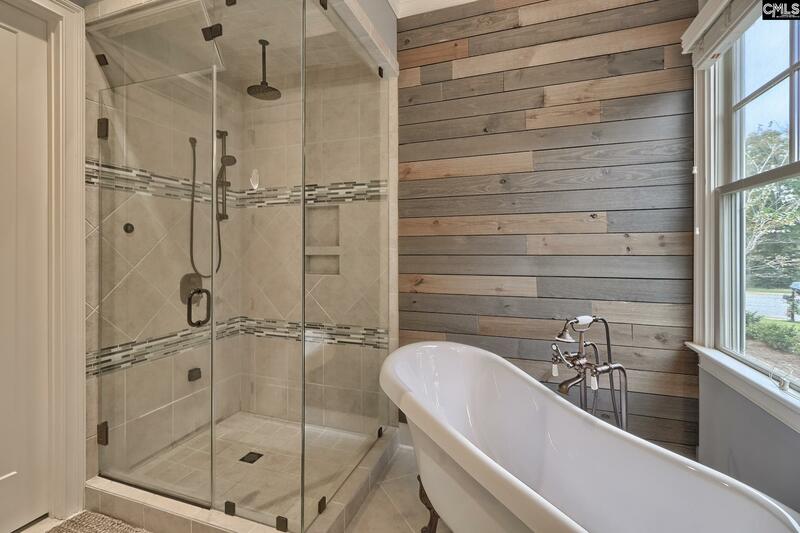 Over the garage you'll find a room with private full bath and breakfast areas. 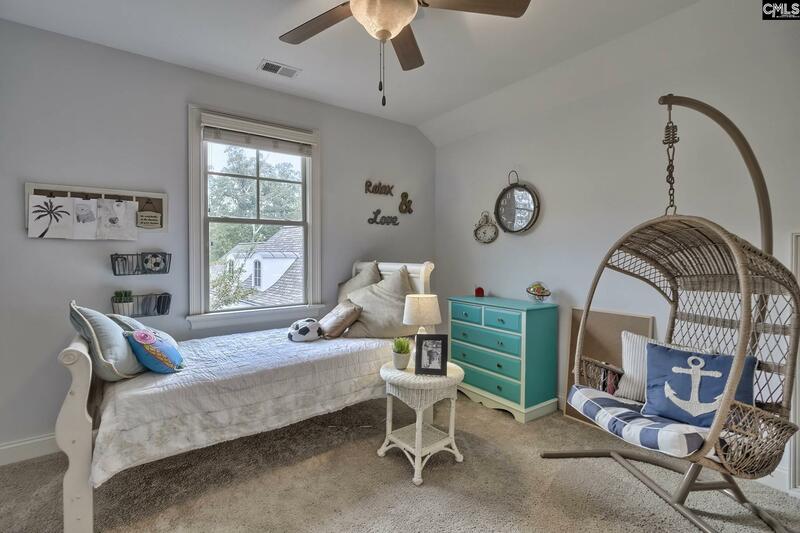 This room would be a perfect guest suite with a bed and dresser, or could be converted to a true 5th bedroom by adding a closet. 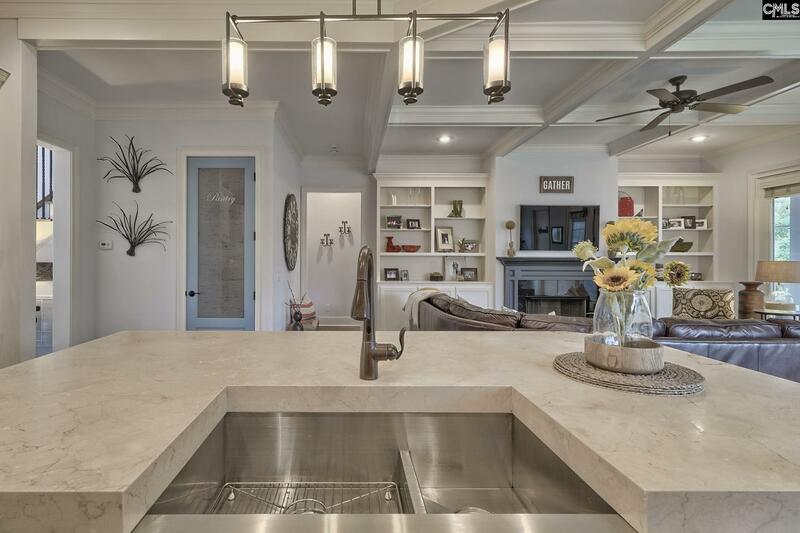 This is a truly exceptional one of a kind home. 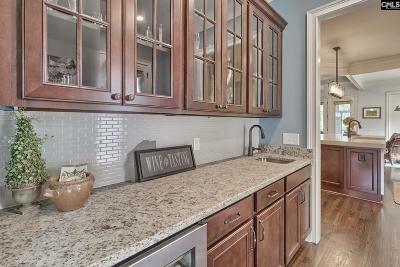 Close to 378, Downtown Columbia, I-26/I-20, hospitals, USC, and more. 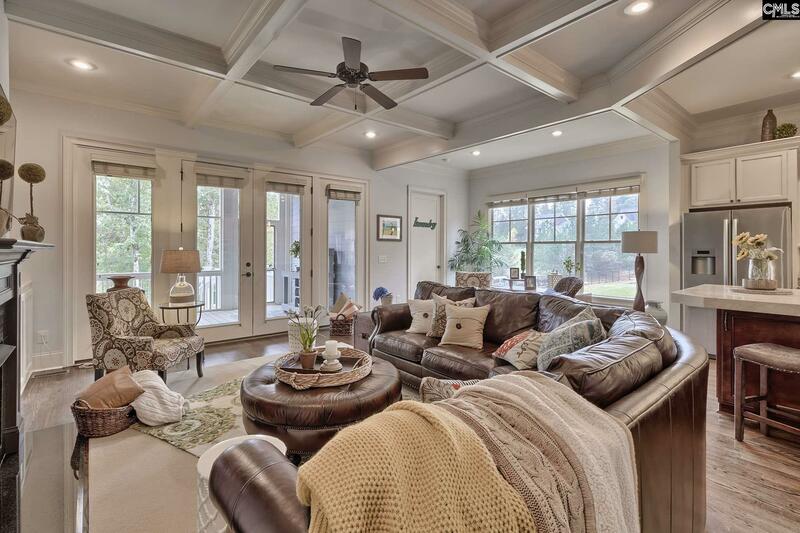 Amenities second to none and Lexington One Schools including River Bluff High School.